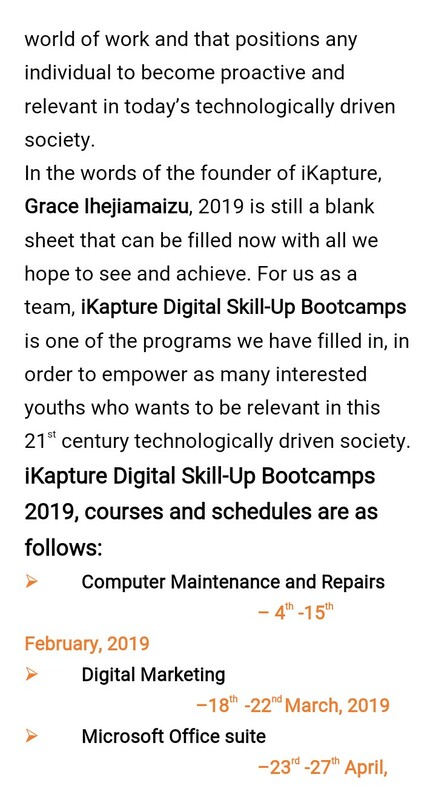 iKapture Networks is pleased to launch the flagship Graduate Skill-Up Program. 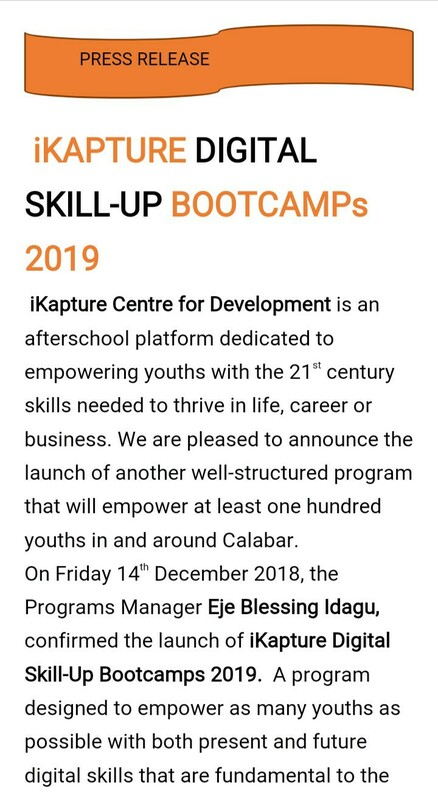 The SkillUp is a two-day education and life skills training program designed to help graduates and undergraduates acquire and apply relevant 21st century skills needed to thrive in the world of work fundamental to the life of a leader. The topics include public speaking, team building, personal branding, entrepreneurship, emotional intelligence and networking. This program adopts a practical approach, which is structured to take place within the period of two days. This program runs for a maximum of 4 hours daily with a 15min break from 11:45 to 12pm. It equips you with emotional intelligence skills in networking with people. This fee per participant cost #2000, which covers training materials and certificates. 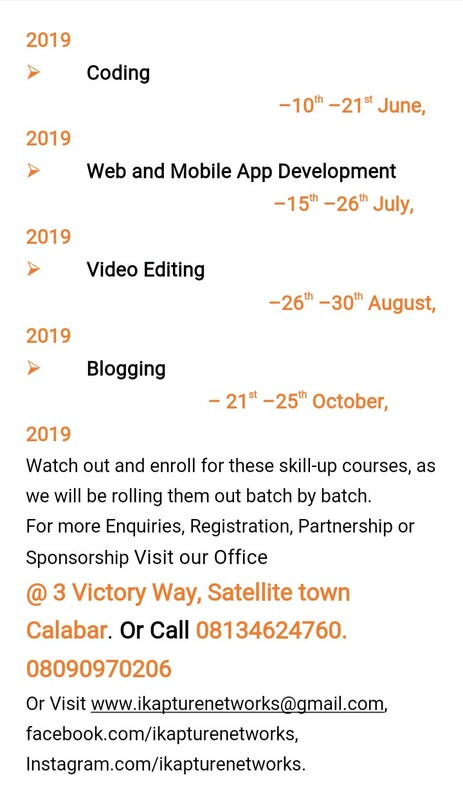 Call 08090970206 or Apply online at bit.ly/GradSkillup.